Designated core facilities and equipment at GRA universities will be available to scientists at all eight institutions. Research leaders from the eight universities in the Georgia Research Alliance have signed a Memorandum of Understanding for the shared use of core research facilities at each of their institutions. The agreement means identified core facilities and equipment will be available to scientists at all eight institutions at the same rates and terms offered to internal facility users. The aim of the partnership agreement is to create a greater availability of research support services for faculty at all the Georgia research universities, to minimize duplication of resources, and to expand and maximize collaborative research opportunities. "One of the key aims of the Georgia Research Alliance has always been to unite our research universities across the state in increasing biomedical innovation and economic development for the benefit of all Georgia citizens," says GRA President C. Michael Cassidy. "Sharing these core research facilities, which often include expensive equipment and specially trained personnel, is an ideal opportunity to enhance team science while increasing research efficiency and saving time and money." The Georgia Research Alliance includes Augusta University, Clark Atlanta University, Emory University, Georgia Institute of Technology, Georgia State University, Mercer University, Morehouse School of Medicine and the University of Georgia. Core research facilities at the eight institutions include imaging; immunotherapy and immune monitoring; chemical and biomolecular analysis; genomics, proteomics, lipodomics, glycomics and metabolomics; nuclear magnetic resonance; mass spectrometry; flow cytometry; transgenic mouse and animal models; electron microscopy; cancer tissue and pathology; cellular imaging; molecular modeling and drug design; confocal microscopy; DNA sequencing; neuroscience (behavioral studies); brain imaging; high containment lab; isotope studies; nanotechnology; biomarkers; flow cytometry; biostatistics; high performance computing; and clinical trials. 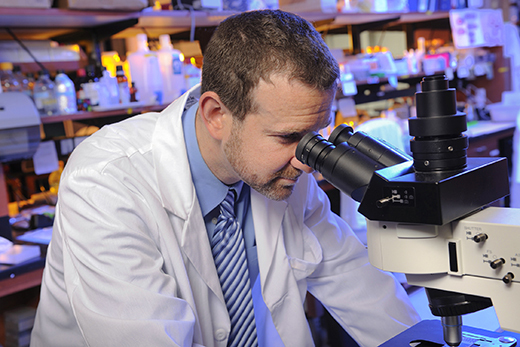 "Emory University and the University of Georgia have had a reciprocal agreement for core facilities for the past two years," says Michael Zwick, PhD, assistant vice president for research in the Woodruff Health Sciences Center. This partnership has worked so effectively, we decided to expand this strategy to include all the research universities across the state. We are very enthusiastic about the prospects for a highly successful partnership through our core facilities."